How to Use a Coffee Maker – Simple Tips You Must Know – Do you want to learn how to use a coffee maker? There are some tips that you must know. A coffee maker is part of our daily routines. Lots of people drink coffee daily. 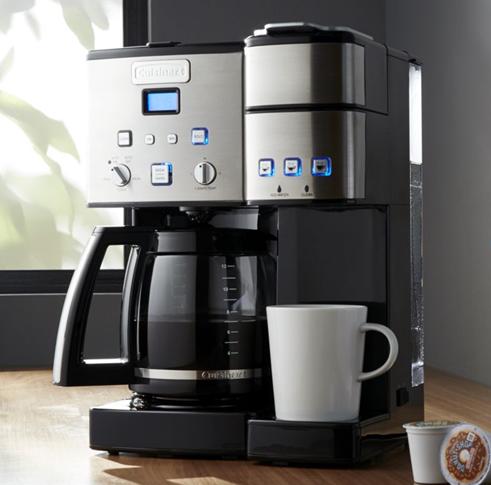 However, if you have never used a coffee maker and you want to learn how to operate this machine, then we have some tips for you. Check some simple steps that we have listed below. Check our simple tips below so that you know how to use a coffee maker correctly. While it is true that you can use cheap generic filters, but it is always better if you use a coffee maker’s specialized filter. Some coffee makers come with their own mesh filter, thus using them can give you a better result. When making a cup of coffee, you must know that the more coffee that you want to make, the more coffee that you need to put in the filter. The ratio of coffee to water may vary as it also depends on the type of coffee and coffee machine that you have. You can use a standard ratio which is about 2 tablespoons for every 6 ounces of water. If you are not sure, you can also check the coffee maker manual first. Another important tip is that you must use a tablespoon. Some coffee makers come with a scoop, thus you can read the instructions first so that you know how many scoops that you need. If you have no idea how to measure out enough water to brew the coffee, then you can use the measuring lines on the coffee pot. You can use the coffee pot to pour the water. If this is your first time doing this, it is possible that you want to pour the water directly. However, you shouldn’t do this. Instead, you can pour the water into the compartment which is intended to hold the water until brewing. Once you have poured the water into your coffee, you can put the coffee pot back on the warming plate. Once you have learned how to measure out the coffee and measure out enough water, the next step is simple. Simply plug in the coffee maker and turn it on. What you must know is that some coffee makers start the brewing automatically. However, you can also find other models that come with a manual time setting. Check whether your coffee maker comes with a pause setting or not. A pause setting is a feature which allows you to pause the brewing process and fill a cup before the brewing process is finished. Make sure that you don’t remove the coffee grounds too late. This is an important step so that your pot won’t be too bitter. These are some simple steps that you can try if you want to learn how to use a coffee maker the right way.